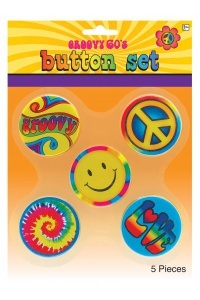 Our hippie costume for kids includes a tie-dye look shirt, bell bottom pants, and crochet-look vest. 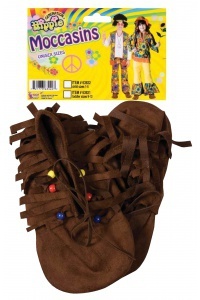 A great 60s or 70s costume, wear this outfit as a hippie for Halloween or as Janis Joplin for a 60s-70s theme party. 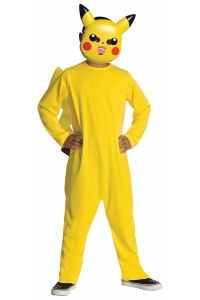 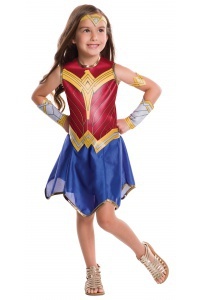 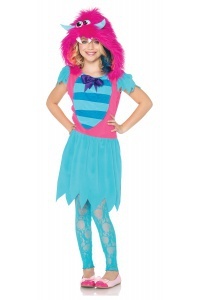 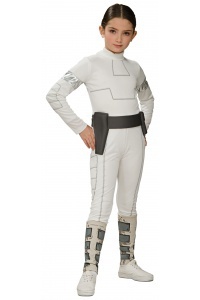 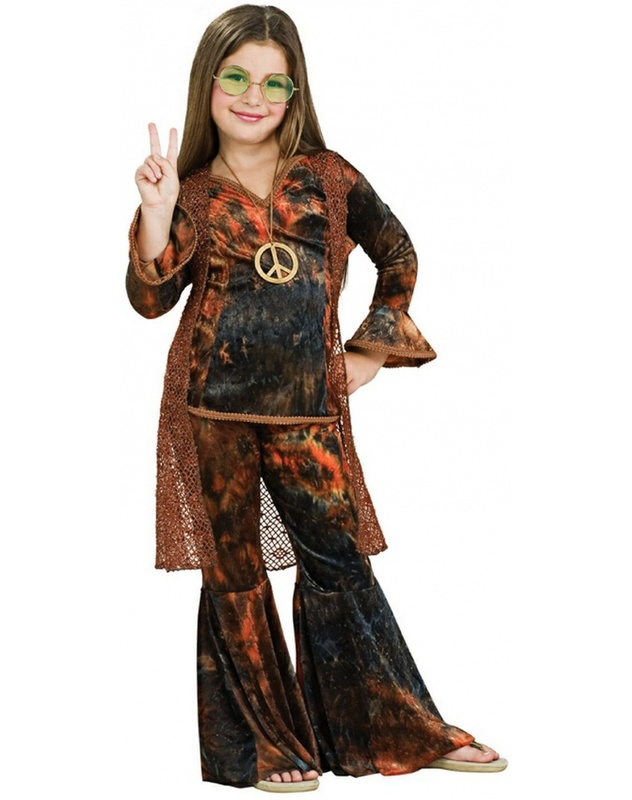 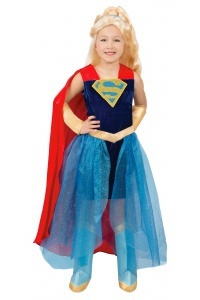 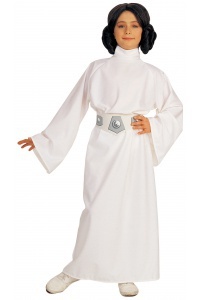 Our hippie costume for kids comes in child sizes Small, Medium, Large. 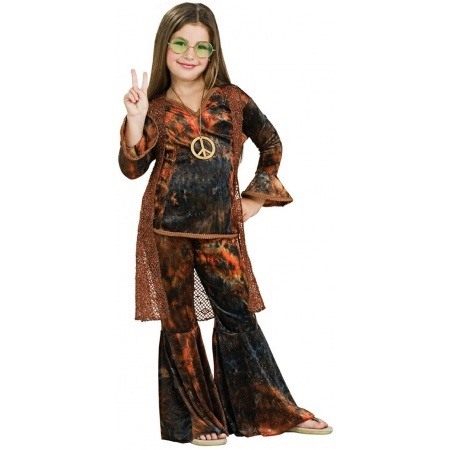 The peace symbol necklace and sunglasses are not included with this hippie girl Halloween costume.